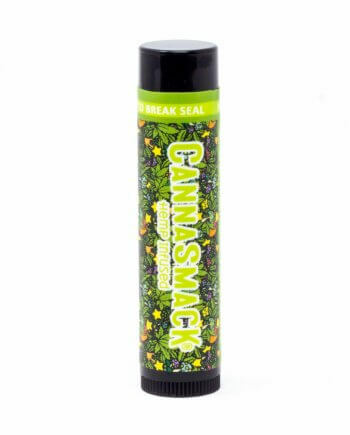 We’re crushing hard over this soft, tangy citrus vegan lip balm: CannaSmack Wild Orange Crush. Our silky smooth formula is adored by even the most sensitive lips. Infused with premium hemp seed oil, paired with a formula of all natural ingredients, CannaSmack bestows a kiss of reliable hydration with vitamins A, B, D, E and Omega 3&6 fatty acids. What’s on the inside matters most, but it’s hard not to point out a label that’s such a looker; hubba-hubba. All Natural & Vegan Hemp Lip Balm Ingredients: Capric/Caprylic Triglycerides (Fractionated Coconut Oil), Cocoa Seed Butter, Candelilla Wax, Sunflower Seed Wax, Flavor, Sunflower Seed Oil, Cannabis Sativa (HEMP) Seed Oil, Orange Oil, Tangerine Oil, Tocopherol, Stevia Extract. I cannot wait to try this flavor! 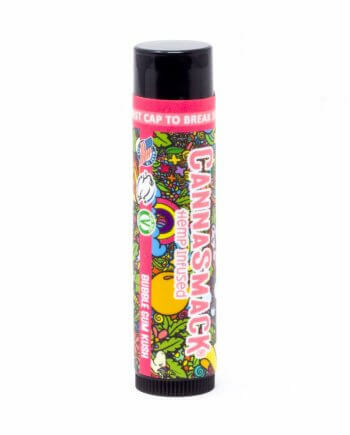 The ONLY reason I haven’t purchased yet is because I currently own 9 other cannasmack lip balms LOL. Trying to use up what I have before purchasing more.